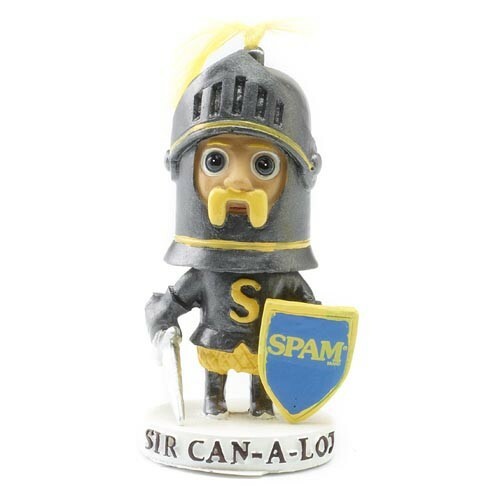 Your knight and shining armor - SIR CAN-A-LOT® Character bobblehead. Ceramic figurine hand-painted complete with a yellow feather on the top of his helmet. 3" tall.